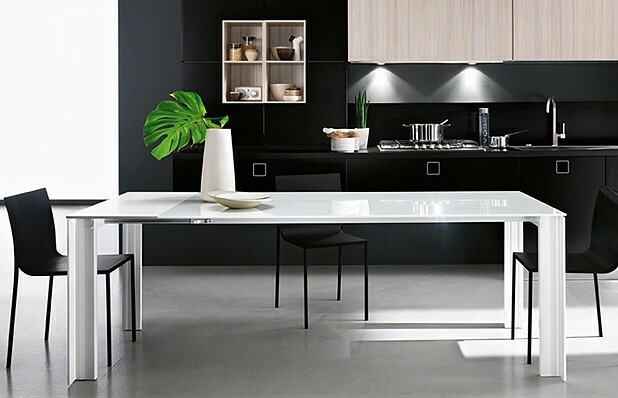 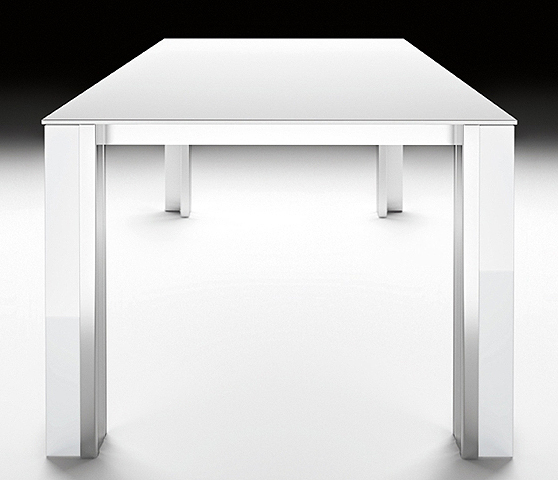 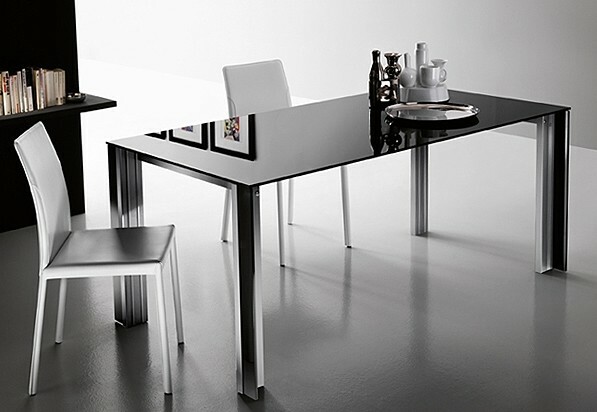 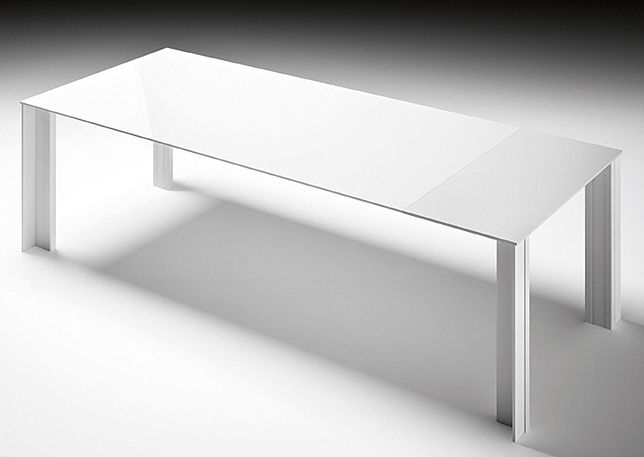 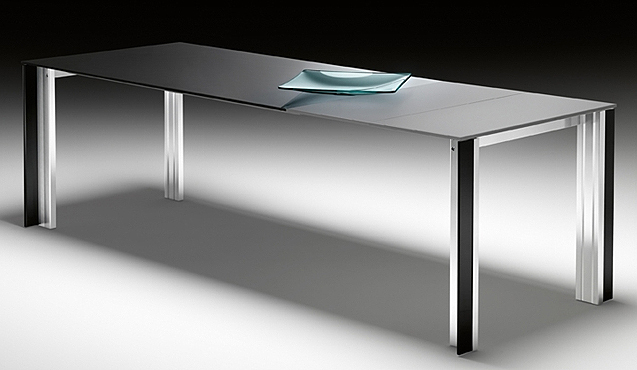 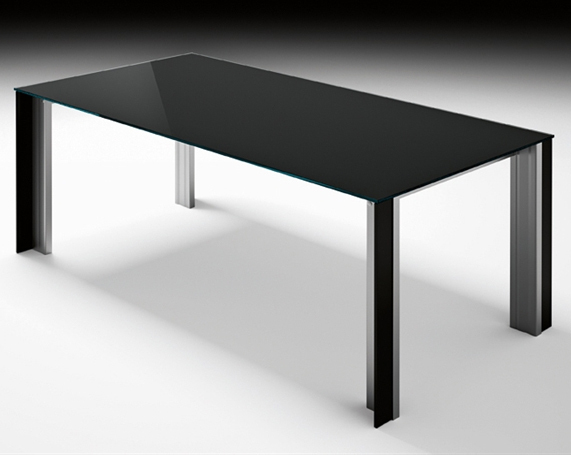 Extending dining table with an anodized aluminium frame in the finishes: white, brushed (glossy) or titanium (matt). 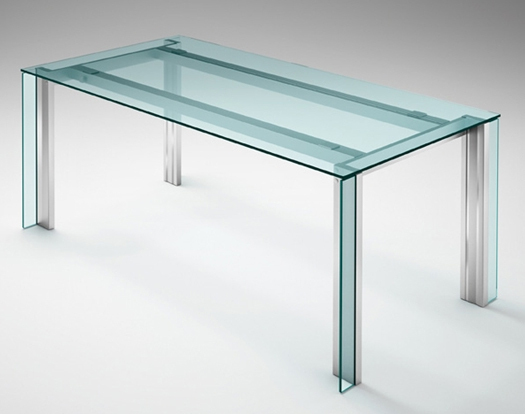 The top is 10mm thick glass with a laminate wood extension. 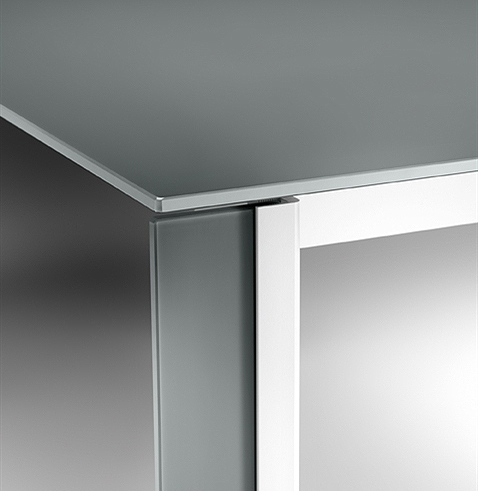 Colour options: transparent top with gray extension(s), gray top with gray extension(s), white opaline top with white extension(s), or black top with gray extension(s). 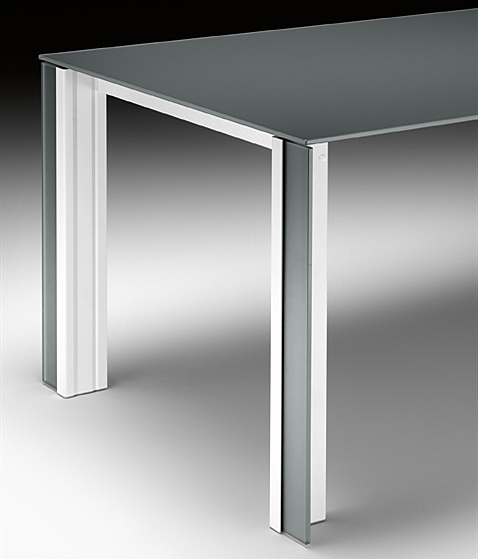 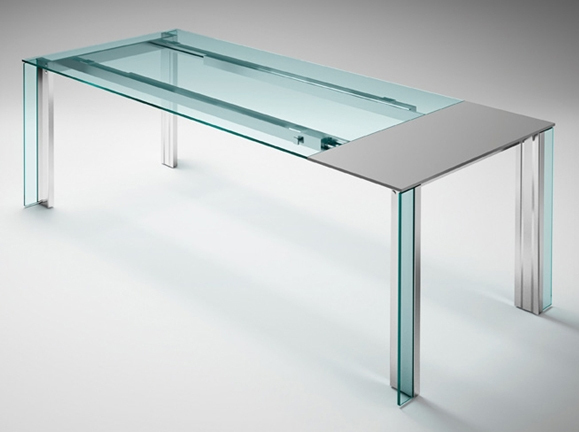 The aluminium leg incorporates a 10mm thick tempered glass band, matching the top. 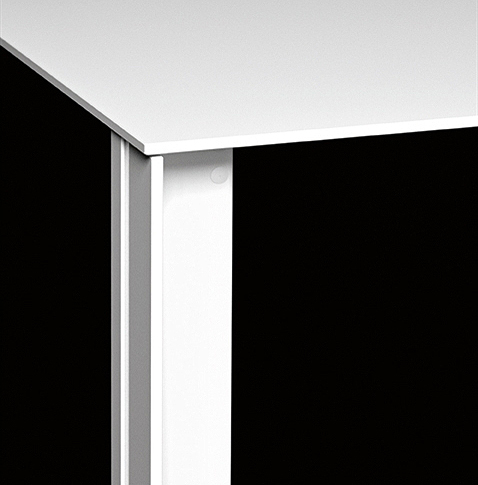 Smaller sizes have 1 extension, larger sizes have 2.